As NASA looks to jettison its asteroid retrieval mission, China is evaluating whether to conduct a mission of its own. A senior government space scientist said China was considering mounting a mission to “capture” an asteroid and try to fire it into the moon’s orbit within a decade, state media reported. 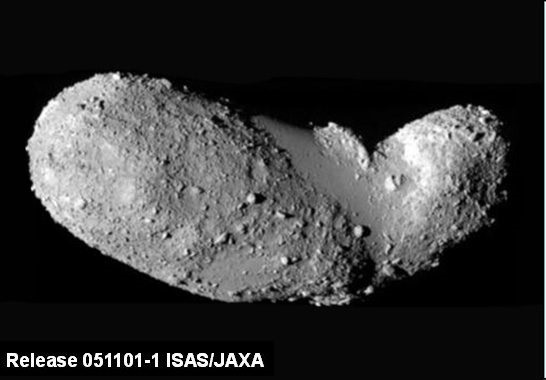 The ultimate aim would be to mine the asteroid for metal and minerals, or use it as the base for a space station. Ye Peijian, chief commander and designer of China’s lunar exploration programme, said at a meeting of space authorities in Beijing this week that the nation’s first batch of asteroid exploration spacecraft would probably be launched in about 2020, according to state media reports…. Many near-Earth asteroids contain a high concentrations of precious metals, Ye told the Science and Technology Daily, a newspaper run by China’s Ministry of Science and Technology. China is planning an ambitious mission to Mars in 2020 that will include an orbiter and a surface rover. 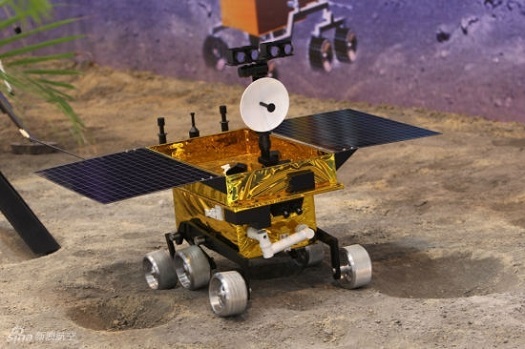 State news agency Xinhua, in a report late on Tuesday, said the 200 kg (441 lb) rover would have six wheels and be powered by four solar panels, two more than the rover China shot to the moon and 60 kg (132 lb) heavier. “The challenges we face are unprecedented,” Zhang Rongqiao, chief architect of the Mars mission, said, according to Xinhua. The probe would carry 13 payloads including a remote sensing camera and a ground penetrating radar, on what is expected to be a three-month exploration mission blasting off in July or August 2020, the report added. “The lander will separate from the orbiter at the end of a journey of around seven months and touch down in a low latitude area in the northern hemisphere of Mars where the rover will explore the surface,” it said. Chinese officials say they are looking to complete a permanent, multi-module space station in Earth orbit in about eight years, according to media reports. The plan calls for the launch of the Tiangong-2 space lab around 2016. The three-person Shenzhou-11 spacecraft and Tianzhou-1 automated cargo freighter will dock with the space station. Around 2018, China plans to launch the core module for a larger space station that will be completed around 2022, officials said. Chinese officials have announced the completion of the nation’s fourth launch center, one that has a distinct advantage over the other three: rockets stages will fall over the ocean rather than on land. Located in the southern island province of Hainan, the Wenchang Satellite Launch Center has the advantage of being at a latitude of 19 degrees north of the equator, which is lower than China’s other launch centers in Sichuan and Shanxi provinces and the Inner Mongolia autonomous region. The location is better for launching communications satellites, which are sent to positions over the equator. Wenchang will also be ideal for launching the heavy-lift Long March 5, which is now under development. Stages for the larger rocket can be transported to the launch site by water. Rockets must travel by rail to the three inland launch facilities. With ties with the United States frayed over Ukraine, Russia has rushed to deepen its ties with China. Everyone’s favorite Josef Stalin-loving deputy prime minister was in China last week to lay the foundation for deeper cooperation in space. 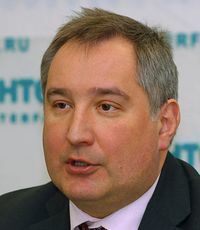 Deputy Prime Minister Dmitri Rogozin has followed last week’s rhetorical bombshell — that Russia was not interested in extending operation of the International Space Station, or ISS, beyond 2020 — by trumpeting a future of increased cooperation with the emerging Chinese National Space Agency. Meeting with his Chinese counterpart, Deputy Prime Minister Wang Yang, in Beijing on Monday, Rogozin announced on Twitter that he had signed “a protocol on establishing a control group for the implementation of eight strategic projects.” In a later Facebook post, he said “cooperation in space and in the market for space navigation” were among the projects. The partnership appears to be aimed largely at post-ISS cooperation. 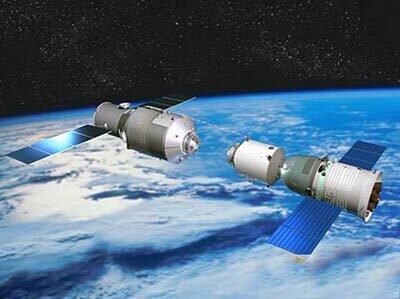 China has plans to place a multi-module space station in orbit by 2020 to which Russia could contribute. China’s surging space program will embark on its most ambitious robotic mission yet on Monday as it launches the Chang’e-3 mission to the moon. The spacecraft will land and deploy a six-wheel rover named Yutu (Jade Rabbit) that will explore the surface for three months. The launch aboard a Long March-3B rocket from Xichang is scheduled for Monday at 1:30 a.m. local time (Sunday, 12:30 p.m. EST). The moon landing — the first by any country since the Soviet Luna 24 mission in 1976 — is scheduled for mid-December. Only the United States and Soviet Union have soft landed spacecraft on the lunar surface. Chang’e is named for the Chinese goddess of the moon. Yutu is the jade rabbit kept by the goddess. Will China Surpass the U.S. in Space by 2020? 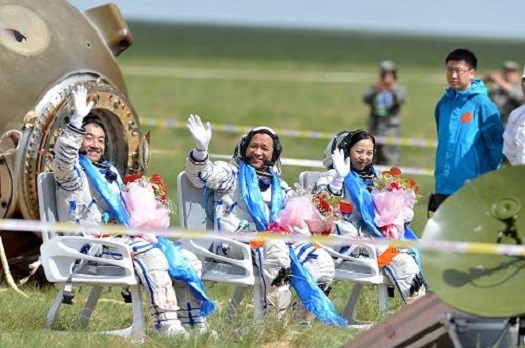 Today marks the 10th anniversary of China’s first manned spaceflight, an occasion that has resulted in some soul searching over the Middle Kingdom’s significant progress in space and whether it is poised to take the lead from the United States in the decade ahead. The anniversary comes as NASA is all but shutdown due to a budget impasse in Washington. Former NASA astronaut Leroy Chiao, just back from the International Astronautic Congress in Beijing, sees a perfect storm brewing between China’s ascent and budget restrictions on America’s space program.Writing in Space.com, Chiao sketched out a scenario where China surpasses the U.S. in space in about seven years. Ma Xingrui, administrator of the China National Space Administration (CNSA), said China has signed bilateral space accords with several dozen nations but has yet to join the multinational International Space Exploration Coordination Group (ISECG). ISECG, whose members include most other spacefaring nations, is assembling a Global Exploration Roadmap whose goal is to reduce duplication in what most nations agree will be an endeavor too costly for any nation acting alone…. As China has progressed on its strategy to develop independent expertise in manned flight and multiple other space technology domains, its leaders have sought to stress China’s willingness to join international efforts and to welcome non-Chinese nations to the Chinese program. Asked why China has not signed on as a member of ISECG, Ma said China would welcome full membership on receipt of an invitation…. One non-Chinese government official said China is already an observer to the ISECG work and that it was China, not ISECG, which in the past had resisted China’s joining as a full member. PARIS, 8 October 2012 (ESA PR) — Wang Zhaoyao, Director General of the China Manned Space Agency, accompanied by the first Chinese female astronaut, Liu Yang, met ESA Director General Jean-Jacques Dordain at the Agency’s headquarters in Paris on 8 October. Reports indicate that the launch will take place on Saturday afternoon. The crew will spend two days to reach the Tiangong-1 space station and 10 days on board. China will send its first female astronaut into space on this flight.The space station is about half the size of the Soviet Salyut facilities launched during the 1970s. 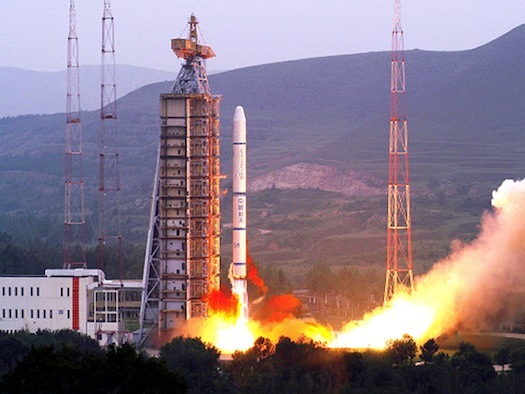 Since 2006, China has made rapid progress in its space industry. Breakthroughs have been made in major space projects, including human spaceflight and lunar exploration; space technology has been generally upgraded remarkably; the economic and social benefits of space applications have been noticeably enhanced; and innovative achievements have been made in space science. 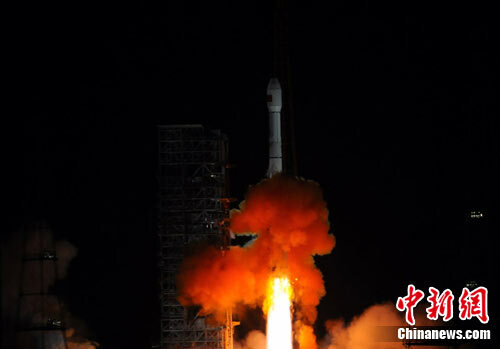 As the Chinese space program has grown more powerful, the nation is steadily increasing its bilateral and multilateral cooperation with other nations and international bodies. A white paper on China’s space program released by the government today provides a summary of some of the more prominent cooperative activities. Although China’s international outreach does not seem to be as broad as NASA’s activities, the emerging space power has forged links with most of the world’s major space powers, including Russia, ESA and individual European nations. It also has bilateral agreements with Brazil, Ukraine and Venezuela. 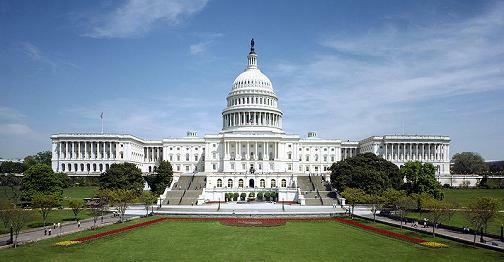 Cooperation with the United States has been frozen because of a Congressional ban on any such discussions. The restriction remains in place in the current budget, but the law includes a provision allowing discussions to go forward if NASA can certify that there is not a threat of revealing sensitive security information. Excerpts from the white paper follow after the break. Frustrated that White House officials have ignored congressional language curtailing scientific collaborations with China, legislators have decided to get their attention through a 32% cut in the tiny budget of the Office of Science and Technology Policy (OSTP). I’m not sure why I immediately thought of Fred, Barney, Betty and whatshername? Maybe it’s my sense that the Republicans in Congress form some sort of “modern Stone Age family” with rocks in their heads instead of brains. And that they have some sort of innate aversion to the type of serious science that tells us that people and dinosaurs didn’t really walk the Earth at the same time. Not all Republicans, mind you. Just enough of them to have influence over vital national policies. And that even a single member with that type of power is one too many. Allow me to explain. First, the back story.